Emily is very familiar with communities north of Atlanta as she is a Georgia native. She is very professional and always kept our best interests in mind as we searched for our home. — Tom and Nancy S.
We were still residing in a different state when we made our home purchase with Emily and Mike and it would have not been possible without their expertise, knowledge and personal assistance. 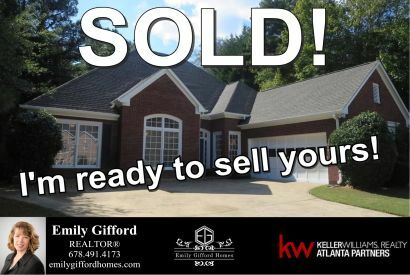 — Keegan and Renee N.
Emily was very helpful with listing and selling our home. She was very professional and reliable throughout the process. I would definitely use her again if I were to sell another property in the area. 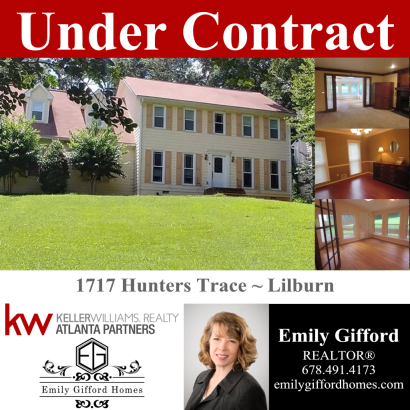 Emily worked hard at getting our home ready to sell. Only took two days to sell. Then helped us find our new home and arranged the closings all on the same day. Could not have been happier. 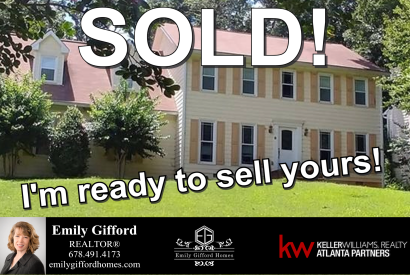 We had an excellent experience selling our home and buying a new one with Emily! She's very knowledgeable and an awesome negotiator! — Amy and Richard S.
Working with Emily made home buying fun and easy. She was such a blessing and she helped us find our dream home. Thank you for all your hard work in accomplishing the sale of our house. We're excited to move on to our next chapter, and we couldn't have done it without you! — Paul and Amelia P.
Thanks for all the prayers and help, and a special thanks to Emily Gifford. If you're looking for a home in the Atlanta area, this is your agent. Loved working with Emily Gifford. She is truly a genuine professional seeking to help her clients in all the ins and outs of home buying! Thanks Emily! This one went fast! Are you looking to sell and/or buy a home? Please call me at 678-491-4173 and let’s discuss how I can help you. Updated: 25th April, 2019 3:56 PM.